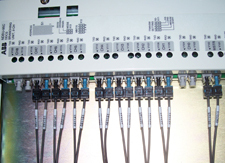 Johnson Automation is a multi-craft assembly and test facility. 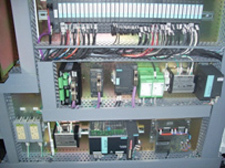 Our core competencies’ include electrical, mechanical, hydraulic and pneumatic assembly. We specialize in building equipment to our customer’s engineering drawings and testing the final product to the customers’ specifications. 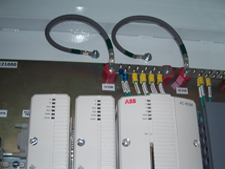 We can also provide project management and engineering if needed to create a turnkey solution. Our staff includes Electricians, Mechanics, Hydraulic technicians, Pneumatic technicians and welders. Most of our employees have 20+ years of experience in their primary field. They are also cross trained in related fields to provide us with a flexibility that is unique in the industry. They have successfully built complex AC and DC electrical panels, high voltage electrical control rooms, lube rooms, stand-alone stations, welding fixtures and entire assembly systems for the mining, consumer product, and automotive industries. Our employees have also traveled extensively installing equipment throughout the U.S., Canada, and Mexico as well as China. Johnson Automation is now located at 3212 Kennedy Road, Janesville, Wisconsin. The new location is staffed by many of the same people that were with R&M’s Assembly Division. The transition has resulted only in a change of name for our customers. They continue to receive the “Highest Quality” products and “On Time” delivery just as they have in the past. 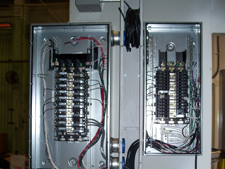 Johnson Automation has a 8,500 square foot high bay assembly area with a 6″ reinforced concrete floor. We have 100 amp 480 volt 3 phase electrical capacity. Our building includes (1) sunken loading dock and a grade level dock with a 14 foot overhead door.